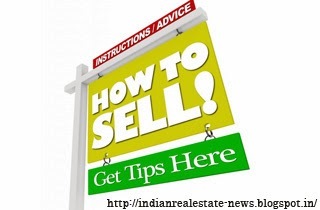 To sell a home there is no exact solution for selling it successfully. The fluctuations in the market as different preferences for the buyers but there are few tips that can be followed to increase the chances of getting your house sold. Here are five tips to be followed. With the help of a professional photographer you can show good quality photos of your house and also its parts in high quality resolutions. Make yourself in the circumstances of a home buyer who is viewing hundreds of house photos to find the best house he wants. Surely he will be more interested in high quality photos. Beside from photos, there is also use time and effort to have a physical scrutiny of the house. There are many home staging tips you should always remember and make sure that your house has a pleasant atmosphere. Pay attention to all the small details because buyers are ready to look for loopholes. Memories always stay in heart and it may be rich in the house which you are soon to leave. Your emotions play a role while selling your dream house but anyhow you have to move on in depersonalizing it. But still you need to control your emotions and remove your personality from the house. If you can't hide it then ask professional buyers to sell. When you set a goal to sell your house make sure you practice it and tell your friends, neighborhood about selling your house. With your advertisement efforts, it will also help the home buyers and allows describing about it to neighborhood. Attract peoples by telling the nearest place from your places such as nearby restaurants, shopping mall and theatre. Tempt them with the beautiful places and wonderful nature. Nowadays the seller's market is very busy and it really becomes difficult to make a house for sale noticed by huge amount of buyers. As simple as the act can be, it also helps if you will let your house sell itself. Putting an outside notice such as for sale is a good practice too. And it's a good sign for the passersby and to those who hunts a house by driving through neighborhoods. Buying a new home is very difficult nowadays especially for new home buyers. You may have many ideas of how the house should look like and facilities nearby. Your Realtor may have been listing out several choices for your dream house but the decision is taken by the property owner alone whether he needs or not. First time home buyers will make friendly visits to some of properties before taking up a decision of buying own house. 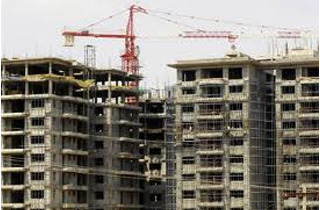 It is natural a difficult job for several new home buyers according to their features, so it is advised that new home buyers take picture of the houses there visit and note down the key features and drawback of it. This way, one can benefit of getting a new house quickly. There are also several things you should look out for when you visit any residence that you wish to purchase. You need to lookout for things that cost you additional expenses, which could range from small repairs to serious renovation. Take a glance at the water pressure and drainage of the house by tapping on the bathroom, laundry, and kitchen. You can test it by running the tap for a minute, and drinking the water to test the taste of the water. You should also look for rust, leaks, and age in the water system. Keep in mind that a flawed water system may cost you serious money. New house should give you good insulations and ventilation to your house, since it allows you to save on cooling and heating bills. If not you can visit manhole, or checking the cracked wall insulation. Your new property should also have good storage such as sheds and built-ins. Having these types of storages allows you to save time and money since you need not want to buy or construct storage spaces of your own. Make sure that your new home has proper structure for rooms. And the rooms should be placed well. All the parents want they own rooms to be placed near your children's room. Having two restrooms for a two-floored house is recommended.